It's been an exciting year so far for DroneBase Pilots: more Client Missions, more Pilot Training, and now...more Creative Mission opportunities. Today, we're excited to announce our newest partnership with Shutterstock, the home of millions of stock video and images from around the world. Shutterstock is expanding its aerial footage collection and called upon DroneBase to help deliver hundreds of high-quality, 4K video. From a soaring bird’s-eye view of the biggest cities in the world to incredible coastline vistas, our Pilots have yet another chance to submit their creative aerial content to us, for a chance to be featured on Shutterstock. 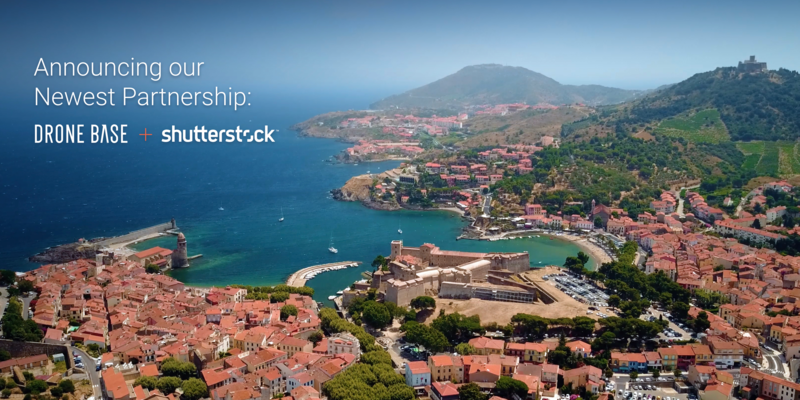 The addition of Shutterstock to our growing list of partners means that DroneBase Pilots will now have even more opportunities to get paid for their creative aerial videos. The best part? It will require absolutely no changes to the way our Pilots are already submitting their creative clips. DroneBase pilots will embark on creative missions at their leisure, and submit that content through the "Creative Missions" tab in the DroneBase Pilot App, available in both the App and Google Play stores. Or team is thrilled to bring our network even more opportunities to get paid for their passion. More details are coming soon, and the full Shutterstock platform integration will take effect in the coming weeks. Until then, feel free to browse our Shutterstock FAQ, and get ready to start submitting your favorite creative clips! Not a DroneBase Pilot yet? Sign up today!